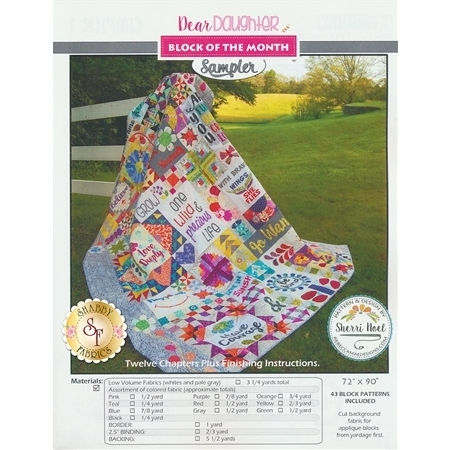 Create a precious quilt to show your love for your daughter with the Dear Daughter Block of the Month Sampler quilt Pattern by Sherri Noel. This pattern includes two booklets to guide you through your sewing. The first booklet includes 8 pages of information about techniques, such as English paper piecing and half square triangles. 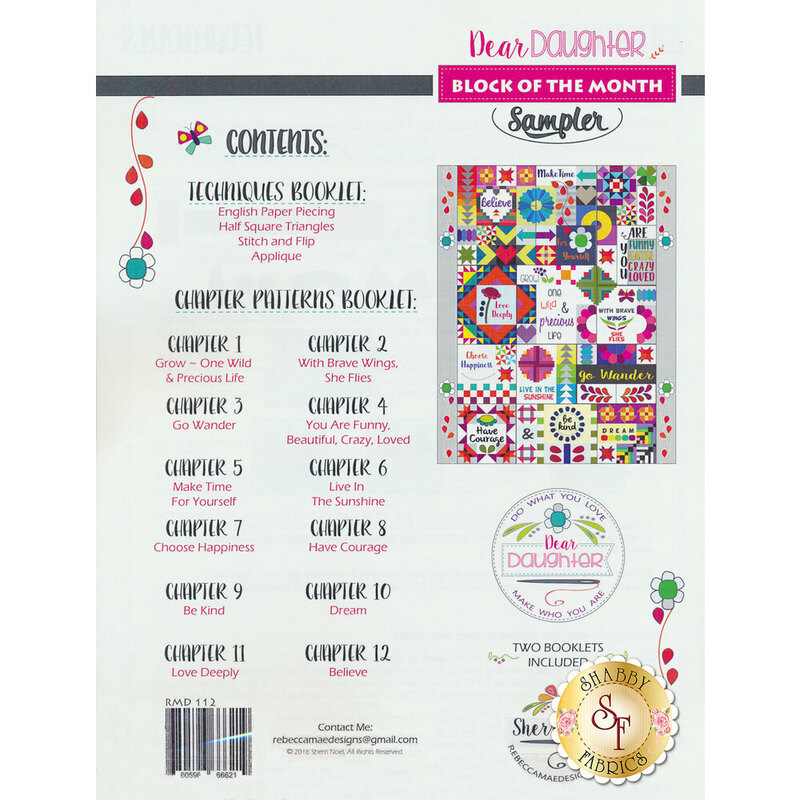 The second booklet is 48 pages about the pattern itself, with each of the 12 chapters representing the 12 blocks of the quilt. This stunning quilt measures 72" x 90" when finished.